‘Torture’ produced by James Skelly (Blossoms, The Coral, She Drew The Gun, The Mysterines) at Parr Street Studios in Liverpool is described by the band as “a combination of some hijacked philosophical crossroads and the belief in the human voice box. It's our attempt at The Beach Boys if we ran out of money before getting the orchestra in. Nonetheless, with just a dose of pop and a terribly dour theme, it has come out just how we desired.”. 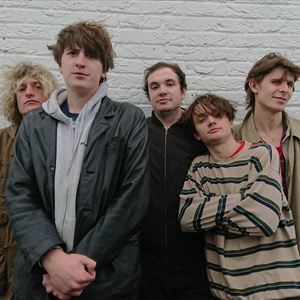 The previous year saw Cabbage release their critically acclaimed debut album ‘Nihilistic Glamour Shots’, which charted at No.1 in the UK Cassette chart, No.2 on the Independent Chart, No.4 on the Vinyl Chart and No.21 on the UK Official Album Chart.